A skier who died after he was found at Whistler was given CPR. The Mounties and the BC Coroners Service are investigating after a female skier was killed on Whistler Mountain. A skier in the west ridge of the mountain reported seeing a woman at the base of a cliff. According to Sgt. Rob Knapton, they attended to the scene to locate a 48-year old female at the base of a 25-meter cliff. 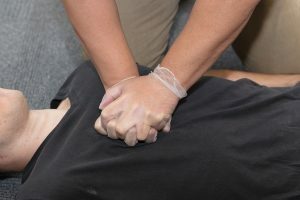 The immediate delivery of cardiopulmonary resuscitation (CPR) is vital. The five members of the Whistler ski patrol along with two mountain doctors and a paramedic attempted to resuscitate the victim who was found unconscious and unresponsive. CPR was performed but she was declared dead at the scene. The victim was not yet identified. She was wearing a ski helmet at the time of the incident according to police. The immediate delivery of cardiopulmonary resuscitation (CPR) is vital. It is a life-saving technique that can save lives during emergencies.